Lipofirm Plus is the credible alternative to liposuction, creating inch loss, body contouring and skin tightening all in one treatment. It’s a safe and effective way to tone the body and eliminate unwanted fat. Following a thorough consultation, clients are advised to attend the salon for treatment for a period of 16 weeks (8-fortnightly procedures). During these appointments a gel is applied to the area of concern followed by a deep tissue massage using the ultrasound cavitation. Ultrasound is responsible for liquidising fat cells, which are then ready to be expelled through the urinary system. The radio frequency system is then utilised in the same way to tighten the appearance of the skin by boosting collagen production and strengthening its internal structure. 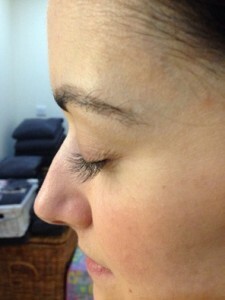 The procedure takes an hour and differs from its competitors as the client is advised to rest following treatment. In the fortnight leading up to the next treatment, fat will continue to leave the body. Throughout the course weight loss is monitored and it is common for inches to be lost after first treatment. 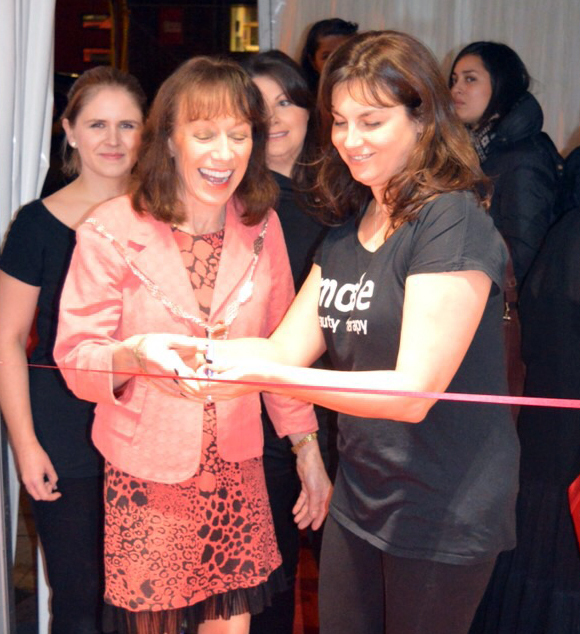 We recently held our official opening night at the salon to celebrate our new premises. It was a great opportunity to thank our loyal clients with champagne, canapés, goody bags and a free raffle prize draw. We were lucky enough to have our local mayor in attendance to toast the occasion, along with the traditional cutting of the red ribbon. We have recently become stockists of the popular and highly commended eye product Revitalash. Revitalash was created by a top pharmacist for his wife following an illness that caused her hair to fall out. Utilising the power of peptides and botanicals it strengthens and conditions, resulting in visibly thicker, longer and fuller lashes. Revitalash can be used on anybody hoping for longer thicker lashes and also comes in a formula designed especially for eyebrows, called Revitabrow. Fast becoming a cult beauty product, Revitalash receives fantastic reviews due to its amazing results.